Paul Pfund got rich in the late 19th century by supplying the citizens of Dresden with fresh milk products from his cows which he kept right in the city. In 1891, his booming company built its prestigious headquarters, including a dairy shop which has been declared the most beautiful of its kind by the Guinness Book of World Records. 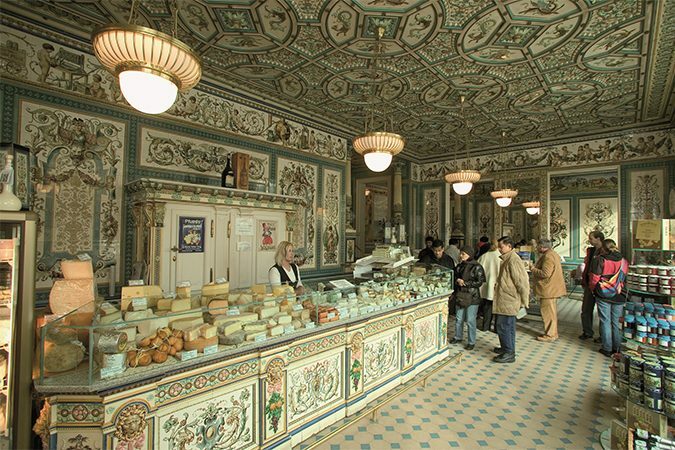 Like a picture book, the shop, which sells exquisite handmade cheeses today, was decorated completely with tiles created in cooperation with Dresden artists by Villeroy & Boch. Pfund’s Dairy is one of Dresden’s best known sights today. What was once the largest cotton mill on the European continent has become a center of contemporary art. 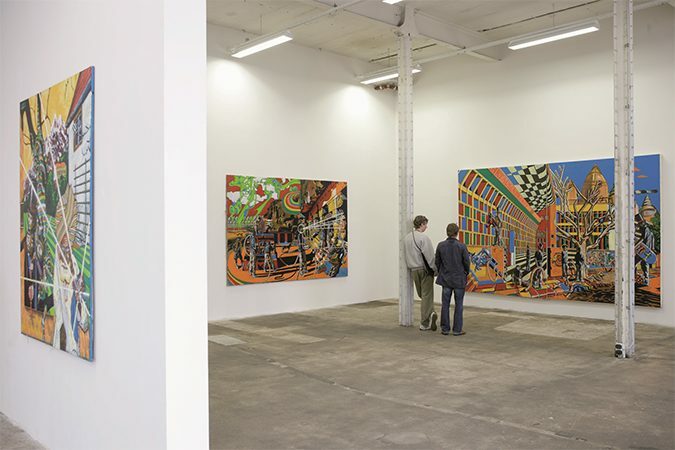 The “Spinnerei” in Leipzig boasts ten galleries and 100 artist workshops today. Its painters from the “New Leipzig School” have captured the international markets. Visitors are welcome every day and there are many events on location, always showcasing the residential artists. In the surrounding areas, many other industrial buildings have been converted into living and working spaces and boat rides depart for trips on the many Leipzig waterways. 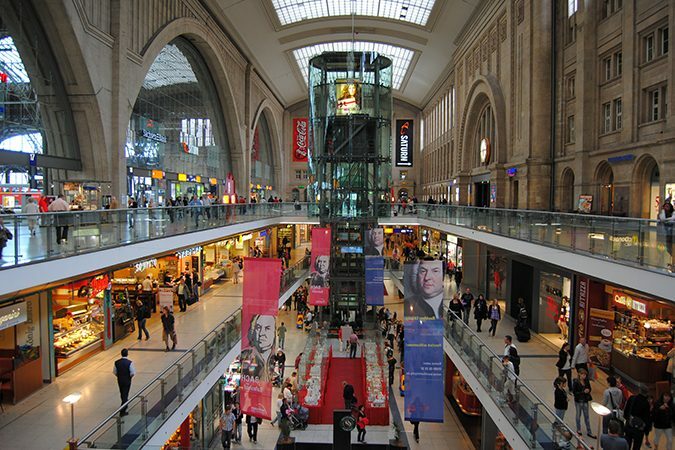 As the city of trade, Leipzig developed its specific architectural structures which have become a shopping paradise. Many former merchant houses are connected by sumptuously-decorated arcades where it is fun to get lost with a well-stocked credit card. 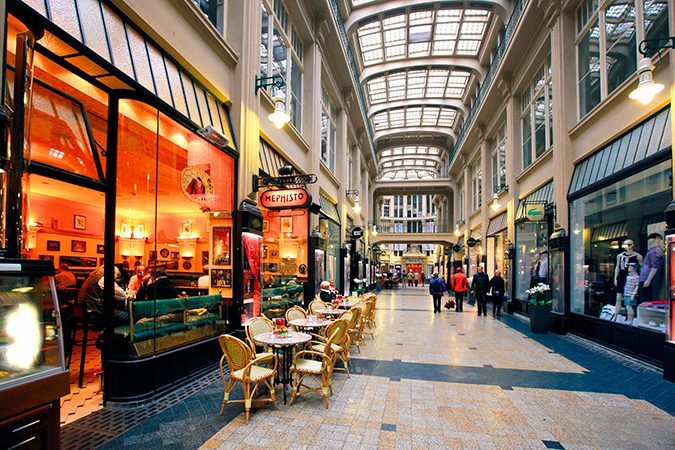 The most famous of the lot is the Mädler Arcade which also houses the world-famous Auerbach’s Cellar restaurant. Other merchant houses have large yards where visitors can relax with a cup of coffee or explore little shops and boutiques. Leipzig Main Station is the largest terminus in Europe. It reflects a time when Leipzig was the centre of trade in Europe and a real metropolis. While Leipzig is still well connected to the railway systems, many people visit the station for a different reason today. Beautifully integrated in the concourse, Leipzig’s largest shopping centre attracts those with money to spend. 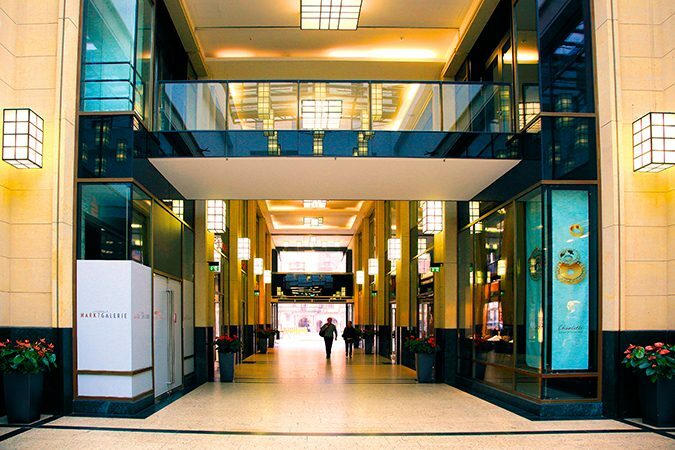 The shopping centre does not take away from the beauty of the building which does not fail to impress its visitors. And the station is right on the ring road around the historic city center, making it easy to visit the shops there as well at the same time.